Tata Power Solar has won a contract from India’s biggest power producer, National Thermal Power Corporation (NTPC) for a 50-megawatt solar photovoltaic-based project. The plant is expected to generate 78.66 million units (kwh) each year in the central Indian state of Madhya Pradesh, Tata Power Solar said in a statement. “This project brings together two of our core strengths in solar — market leading solar module manufacturing and competitive, high-quality engineering, procurement and construction capability,” said Tata Power Solar CEO Ajay Goel. Tata is the biggest industrial group in India with a booming solar power arm. The facility is expected to begin operating in March 2014. NTPC is adding non-conventional sources of energy to its generation mix to ensure long-term competitiveness and mitigate fuel risk, said A K Jha, Director Technical of NTPC, according to the statement. State-owned NTPC has an installed capacity exceeding 41 gigawatts, using mostly coal and gas. NTPC has said it is looking to expand its renewable energy portfolio to one gigawatt by 2017. 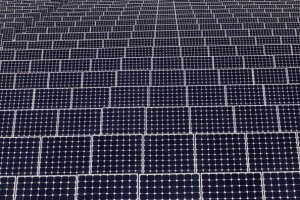 India has some of the best solar resources in the world and the sector is set to grow rapidly, according to the US Solar Energy Industry Association. Tata Power Solar, India’s oldest solar company, has designed and built more than 70-megawatts of grid-connected projects. The company, a wholly owned subsidiary of Tata Power, is headquartered in Bangalore.